We have three excellent options for private dining at Le Talbooth depending on the size of your party. Private dining provides an exclusive space for you and your guests with your own dedicated team. It’s perfect for birthdays, celebrations and corporate events. You can choose from our menus or, if you have your own preference, we can accommodate that too. Put simply, you take over for the duration of your stay. 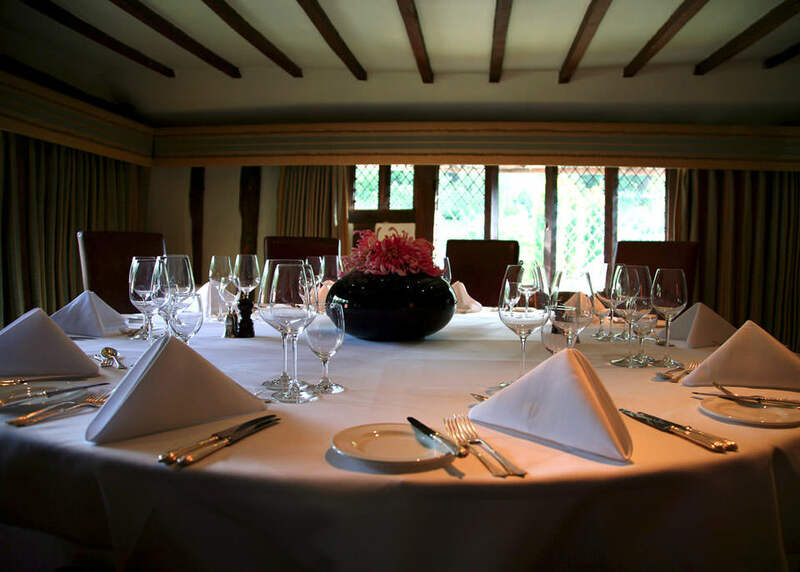 If you would like to view our Private Dining spaces or to book, please call our team on 01206 323150. 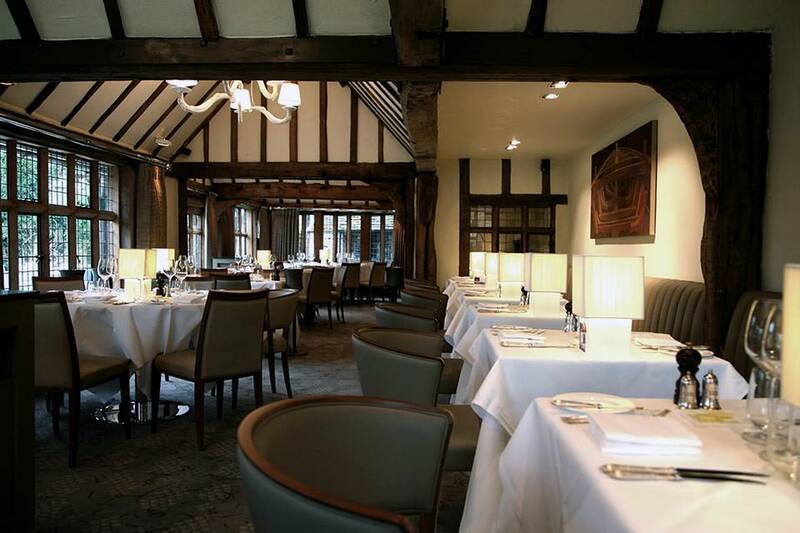 The Weavers Room, on the first floor of the restaurant, is ideal for parties of eight upwards to a maximum of 34. For more information or to book please call 01206 323150. 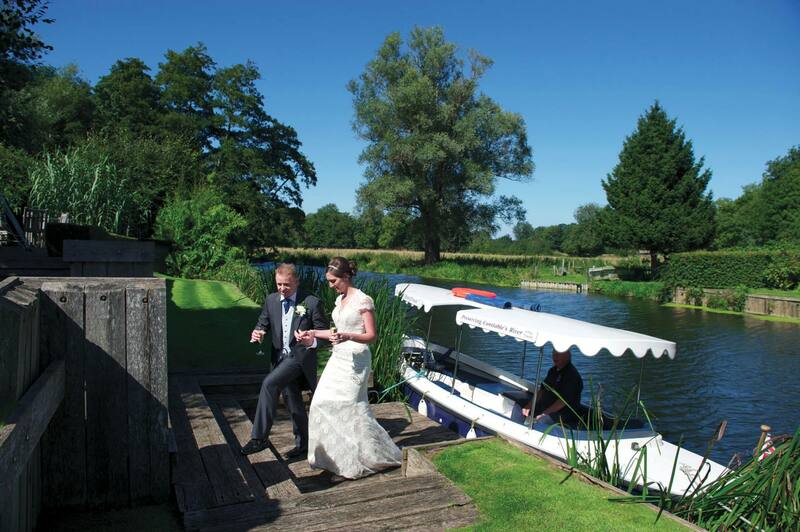 The River Room, which is the main restaurant, can be hired for exclusive use and seats up to 80 guests. 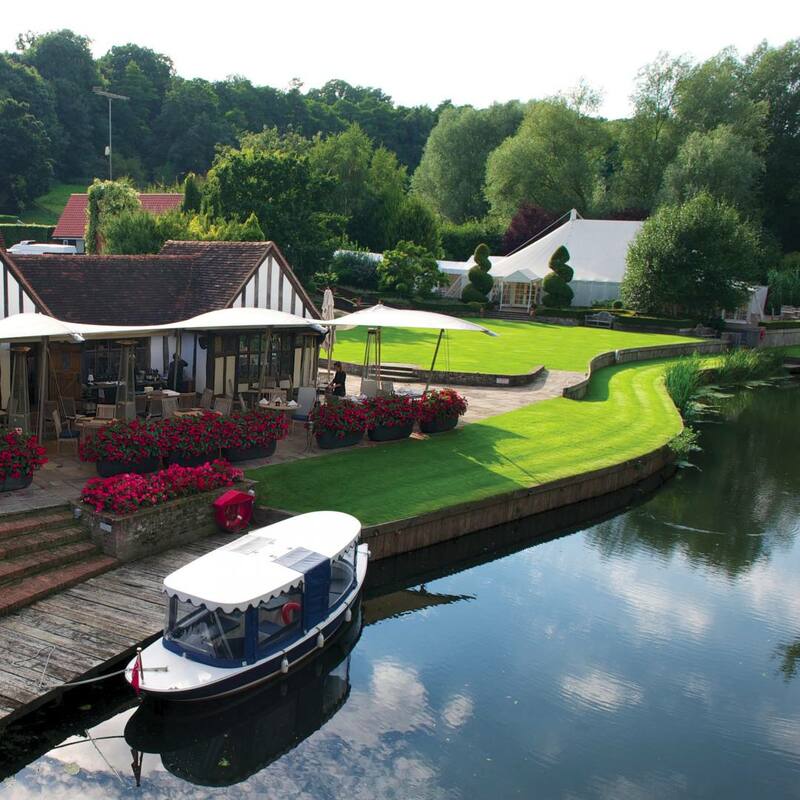 If you require more room, then our April to October Marquee on the upper terrace and overlooking the river seats up to 180 guests and incorporates a dance floor.